This post provides introduction to Smart Cities including: definition, drivers for smart cities, use cases, components of smart cities, challenges, and Telecommunications Service Providers (TSPs) Value Propositions for smart cities. Standard of living for residents. an estimated 54.5% of the world’s population lived in urban spaces in 2016. It is projected that, by 2030, 60% of people globally will live in urban areas and 1/3 of people globally will live in cities with at least half a million inhabitants. 512 cities with at least 1 million inhabitants existed globally in 2016. By 2030, it is projected that 662 cities will have at least 1 million residents. there were 45 cities globally between 5 and 10 million inhabitants in 2016. 63 cities are projected to have between 5 and 10 million residents in 2030. 31 megacities (cities with at least 10 million inhabitants) existed globally in 2016. By 2030, the number of megacities is projected to rise to 41 by 2030. The growing rural-to-urban migration creates opportunities (e.g., for businesses as well as individuals for better educational and employment opportunities) on one hand and poses challenges (e.g., for public sector as well as inhabitants) on the other hand. In fact, public sectors around the globe are facing several challenges in many of their areas of responsibilities, such as education, health care, housing, security, emergency services, electricity, water, gas, traffic flow, parking, waste management, and environmental protection. Examples of use cases include: energy, water, pollution, waste management, transportation, parking, health care, eGovernment, safety, and emergency services. 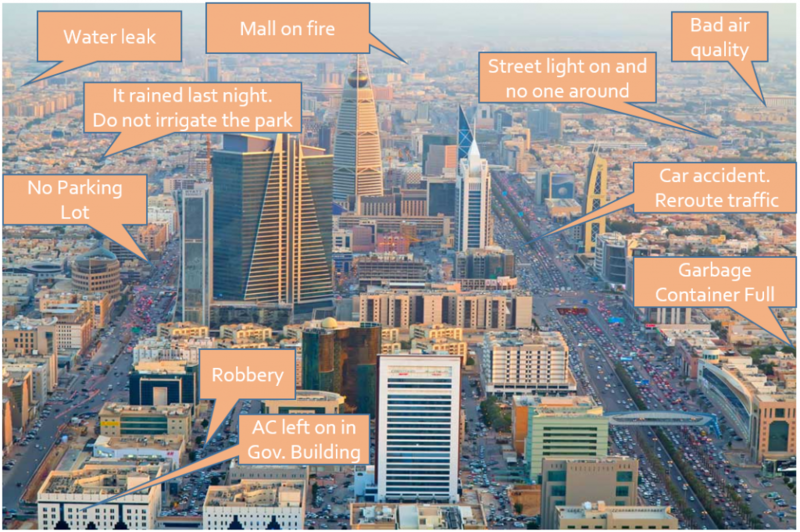 The main components of smart cities are: sensors, communication, data platforms, applications, and security . Constrained: characterized by low-power consumption, low processing power, and low data-transfer rate. Unconstrained: no constraints in terms of power consumption, processing power, and data-transfer rate. This layer, also called connectivity layer, is responsible for receiving and sending data from and to sensors. This layer is where communication network elements reside, such as equipment and broadband infrastructure (e.g., fibre, copper, coax, and microwave radios) that make it possible for sensors to transmit and receive data in various formats and according to different standards. Due to the different characteristics and use cases of sensors, this layer is required to have both fixed and mobile broadband networks as well as technologies that are compatible with both constrained and unconstrained sensors. The availability of mobile networks is crucial not only because it is very costly and practically impossible to link all sensors via fixed connection, but also because there are use cases that require mobility such as tracking of moving objects. The communication network is expected to provide coverage, reliability, scalability, security, quality of service (QoS), and efficient use of unlicensed spectrum at affordable price. The role of the platforms layer is to receive, store, process, and expose information to the applications layer. It is also responsible for device/sensor management. As there will be a huge number of sensors in smart cities, vast quantities of data will be collected and pushed to the platforms layer. Thus, this layer must be able to accommodate and manage large volume of data (big data) using established standards and regulations. Also, this layer is required to have data analytic tools that are capable of processing the big data to extract useful insights out of the collected raw data. Further, this layer must be able to expose application program interfaces (APIs) that allow various applications to connect and interact with this layer. This layer can be cloud-based or operated and managed by the city itself. In case of cloud-based layer, it is extremely important to specify clearly in the contract who own the data, the city itself and/or other actors. Ideally, the city owns the data otherwise it cannot monetize it and make some money along the way. This layer is basically a user interface and the associated software (e.g., web application or a mobile application) that connect to the platforms layer and provide information to customers in well-defined formats such as tables, graphs, and reports. This way, customers can get high-quality smart services that meet their needs (e.g., smart parking, smart water metering, smart traffic monitoring). This layer as well as the sensors layer get the most attention. This is because user can download and install an application that makes their life easier (e.g., finding an empty parking slot). Also, people can see (and touch in some cases) sensors that are deployed in smart cities. All layers are vulnerable if not protected properly. This is because (a) sensors, due to cost considerations, often do not have enough computing power required for sophisticated security implementation so they can be hacked to produce false data, (b) communication can be compromised by man-in-the-middle attacks (i.e., traffic flow from point A to point B will go through the fraudster X who can sniff login details for future use), and (c) platforms contain data that can be breached by unauthorized parties. 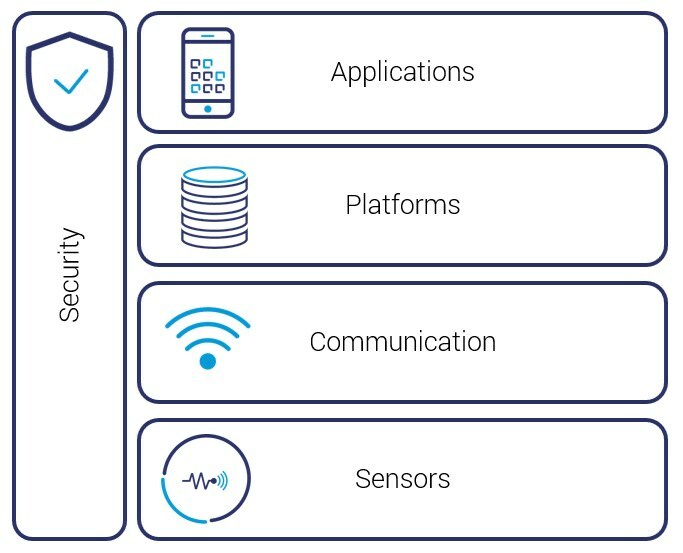 Thus, the security layer is extremely crucial and lies vertically across all other layers (from sensors to application). The security layer consists of technical mechanisms and policies to protect, sensors, communication network, data, and application from unauthorized outside access and manipulation. Smart cities adoption is still very limited due to a number of challenges. The magnitude of challenges varies from country to country and also varies within the same country. This section discusses key challenges facing the global adoption of smart cities . Given the rapid development and availability of smart solutions for cities, every city can (at least theoretically) become smarter. A key challenge, though, is the availability of proper communications infrastructure as it is an important component in smart city development. This is because such infrastructure is necessary to transfer data, collected by sensors, to their destinations and also to transfer commands to the sensors. The communications infrastructure is expected to offer broadband connectivity, mobility, security, reliability, coverage, scalability, and QoS at affordable price. Thus, municipalities need to work closely with Telecommunications Service Providers to guarantee the availability of adequate communications infrastructure throughout their cities. The creation of a smart city takes time and tends to require huge fund because of the cost associated with huge number of sensors, end-to-end connectivity, tools and applications, as well as operation and maintenance. Unfortunately, in many countries, municipalities do not have enough funds for smart cities. Thus, there will be a need to have private investors on board, which is not an easy task unless there is a clear business model that ensures private investors adequate returns. Therefore, most existing smart city projects focus on low-hanging fruits that are guaranteed to generate revenue or reduce operational cost such as smart lightning, smart water, smart waste management, smart parking, and smart transportation. Smart cities require also smart skills at municipality level. It is not just about investing in smart technology; it is also about investing in smart people. This is because smart city projects can be complex, risky, and long-term undertakings that involve many stakeholders and a wide range of new technologies. Thus, municipalities need to hire new professionals with special management skills (e.g., risk assessment, dealing with a diverse set of stakeholders, cross-departmental coordination and alignment) as well as technical skills (e.g., communications infrastructure, cyber security, cloud environments, data analytics and visualization, programming languages). Hence, each municipality is required to conduct its own analysis of skill deficits and find out how to address these deficits. Most smart cities use physically isolated vertical solutions to address a very specific issue such as car parking or waste management. Further, these solutions are controlled by different administrative entities. This is an expensive approach as each vertical will have a separate platform with separate hardware configurations and software instances. Also, if the data collected from each vertical, are stored and processed separately, the cross-correlation between various data sets is impossible, which prevent the city from making best use of the collected data. A city cannot be truly smart if each smart solution operates in silos across the city, which will likely remain the case as long as there are silos across different administrative entities. Smart cities must be inclusive in terms of providing benefits to all its residents and ensuring that no particular groups are left behind, regardless of any potential cost impacts to the city. Old and disabled people are part of the human experience and therefore they have the right to be offered smart solutions that address their needs. Although most businesses in slums in developing countries are seldom under government taxation, this should not deprive slums inhabitants of the benefits of smart cities they bitterly need and deserve. Unfortunately, people in slums are often marginalized and completely left out. Smart cities must be inclusive to all and must engage aging communities and those living with disabilities or in slums in the planning of smart cities to ensure these people get solutions they need. When it comes to smart cities, there are hundreds of companies (from sensors manufacturers to software vendors) that offer specialized solutions for a wide range of verticals (e.g., utilities, transportation, and environment). However, Telecommunications Service Providers (TSPs) have a unique combination of competencies that set them apart from other solution providers. For instance, TSPs have a strong value proposition for smart cities because they have already deployed cutting-edge technologies, own state-of-the art network infrastructure across urban cities, and have experience in providing Machine to Machine (M2M) solutions. 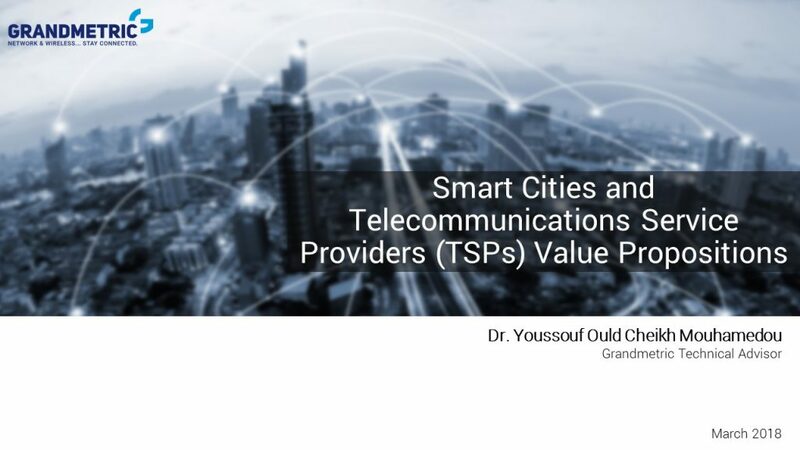 This section discusses TSPs value propositions for smart cities. Multi-network approach is often in the fabric of TSPs. This is extremely important for the success of smart cities because it allows for pairing of network technology with different vertical solutions, each has special requirements as it is dedicated to a specific segment of smart cities. This multi-network approach provides the flexibility and agility required to accelerate the development of smart cities in an optimized and cost-effective manner. Mobile Connectivity and excellent coverage are provided through mobile networks: 2G, 3G, and 4G. Broadband access is provided through LTE Advanced Carrier Aggregation, higher-order QAM, and MIMO techniques. 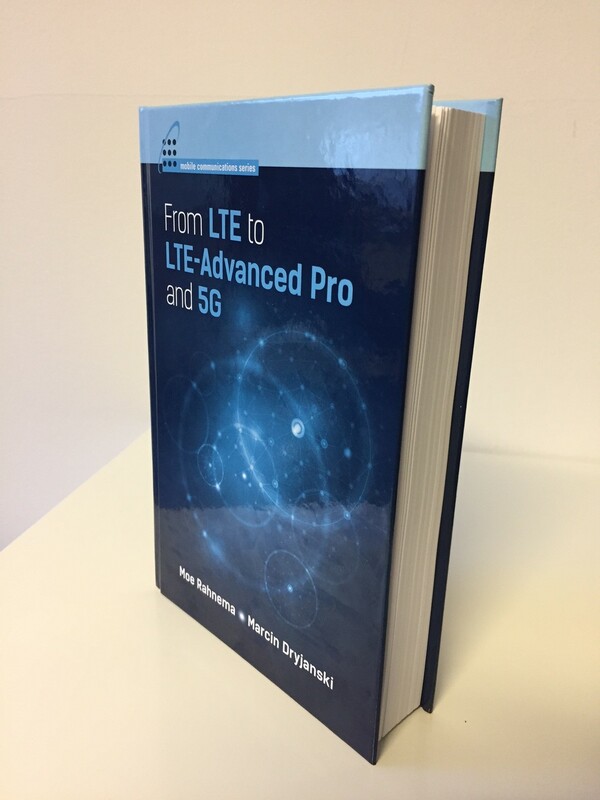 In addition, many TSPs have already engaged somehow in 5G activities. This is important because the full potential of smart cities will be unlocked by 5G network as it can by default support massive IoT connections, very low latency, ultra-high-speed broadband, energy-efficient connected objects, and network slicing (i.e., creation of end-to-end virtual network, on top of a common shared physical infrastructure, that is granularly configured and optimized for a certain business purpose or a customer). Fixed Connectivity is provided through fixed line network that uses copper (twisted pair) cables and optical fibre cables to provide broadband connectivity to homes, businesses, and public spaces throughout urban cities. Further, many TSPs can easily deploy free public Wi-Fi across urban cities. Free public Wi-Fi access is a key enabler for the success of smart cities because it helps connecting local residents as well as visitors to general resources (e.g., bus timetables, weather forecast, maps, hospitals, etc. ), commercial businesses (e.g., restaurants, malls, stores, banks, etc), and tourist attractions (e.g. museums, cultural attractions, historical places, etc). Mission-critical communications are provided to public safety agencies as well as industrial and business critical customers through a dedicated network. To create smart cities that are safe, mission-critical communications network is required so that public safety agencies (e.g., law enforcement, fire, and emergency medical services, etc) remain connected in situations like natural disasters or major emergencies. In this respect, TSPs can offer a wide range of services such as “Push-to-Talk” service (to allow for instant communication among a group of individual users or between multiple groups) and “Data Transfer” services (to allow staff in the field to transmit data either through internet or internal network). low connectivity cost (few dollars per year). LPWA Technology is breaking down smart city silos because it can be used by many verticals of smart cities (e.g., smart electricity meters, smart water meters, smart energy sensors in office buildings, etc). This means a single system can be used by many verticals, thereby reducing both capital expenditure (CAPEX) and the operating expenditure (OPEX). A single system also helps the city to easily cross correlate data sets from different verticals to get more insight into relationships between these verticals. 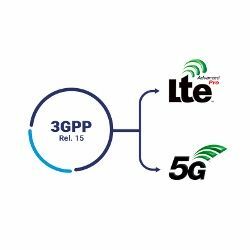 Many TSPs have already deployed Narrowband Internet of Things (NB-IoT), which is a secure, reliable, and efficient type of LPWA technology that was standardized by 3GPP in Release 13  and uses licensed spectrum. In addition, TSPs can easily offer Long range Radio (LoRa) and Sigfox for different verticals of smart cities. LoRa and Sigfox are LPWA technologies that use unlicensed spectrum in the Industrial, Scientific and Medical (ISM) bands. When deploying hundreds of thousands of devices that transmit their data using mobile network, it is important to think about operational cost. For example, traditionally, SIMs are inserted into these devices and each SIM is dedicated for a specific mobile network (i.e., changing the mobile operator means replacing the exiting SIM with another SIM). Imagine that, for some reasons, all exiting SIMs (can be hundreds of thousands) must be replaced. This means large manpower is required to do the SIM replacement. 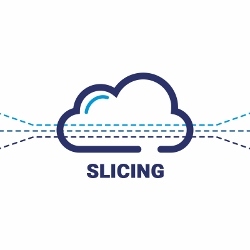 An alternative approach is to deploy only devices that use eSIM technology, which allows the download and activation of eSIM profiles over the air in a seamless, secure, and convenient way, using Remote SIM Provisioning (RSP) Platform. In this respect, many TSPs are in the process of launching eSIM technology. Cloud services offers agility, scalability, and efficiency at a reasonable cost, making them an attractive option for smart cities. Many TSPs offers a wide range of cloud services, including Virtual Machines (VMs) on Linux or Windows operating system, software licenses, block storage, object storage, network bandwidth, backup as a service (BaaS), disaster recovery as a service (DRaaS), analytics tools, and encryption tools. To ease the burden on municipalities and let them focus on their core business (e.g., drinking water, sewage, social care, emergency management, future strategies), it is highly recommended that municipalities adopt end-to-end solution(s) from a single provider. Many TSPs can take an end-to-end approach including sensors, network, applications, analytics, and management to deliver smart cities solutions. Many TSPs are well-equipped to provide a wide range of end-to-end solutions across many different verticals as they have strong network infrastructure, large number of talented professionals with in-depth expertise in technology selection and implementation, and good network of partners. Additional information is available in the PPT presentation.